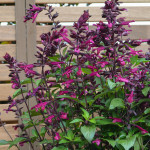 Salvia Love and Wishes | A beautiful new Salvia in the Wishes Collection! 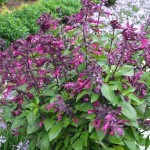 Salvia Love and Wishes is a first-class garden plant. But you don’t need to take our word for it – it has won multiple awards! So, when you plant Love and Wishes in your garden, you can be sure that you have the very best! More new images of Love and Wishes. 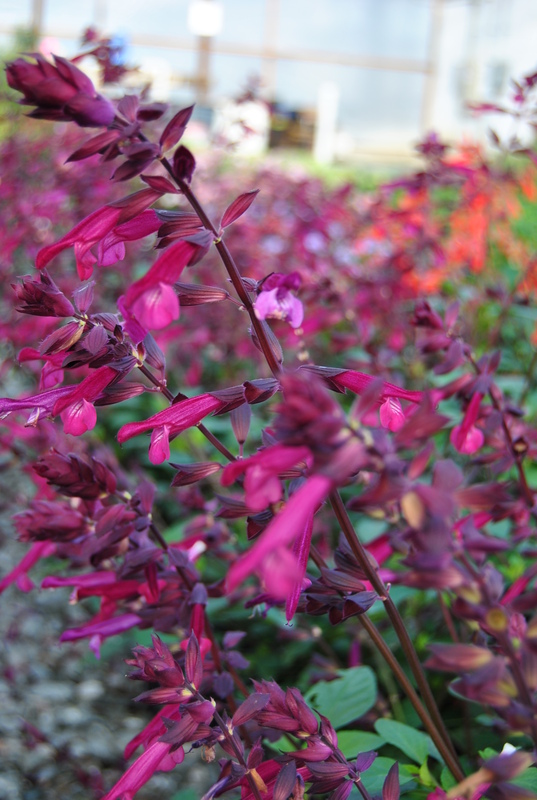 Like all the Wish Collection Salvias, bees love Love and Wishes. Look at this great photo of a queen bumblebee coming in to land on a flower. Help pollinators in your garden by planting more Salvias! 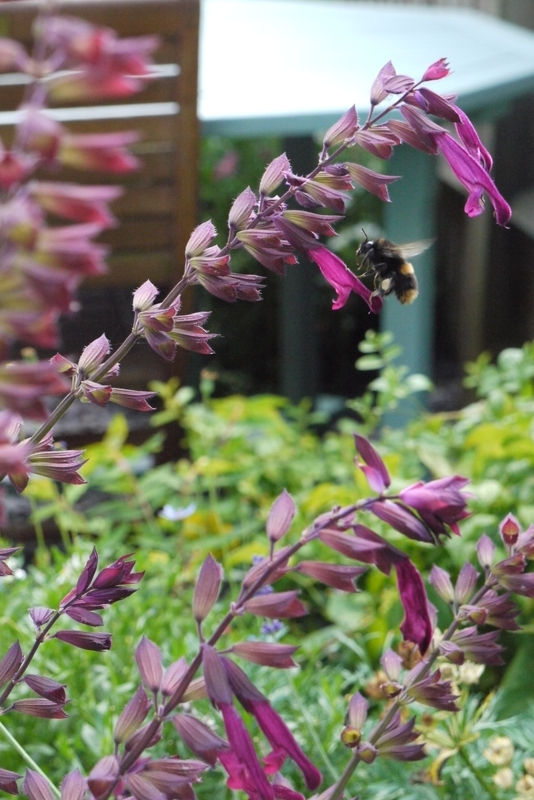 Salvia Love and Wishes – a landing pad for a bee! 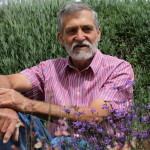 John Fisher studied plant breeding at Sydney University and went on to manage extensive wheat breeding programs in New South Wales for over 20 years. John and his wife Jill have always been keen gardeners. 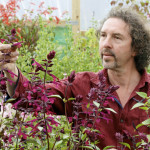 Following retirement, John was keen to devote time to alternative plant breeding projects and identified the potential in the genus Salvia. 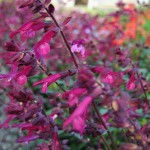 There are over 900 Salvia species worldwide. They are found in all the major ecosystems and cover the full range of colours. 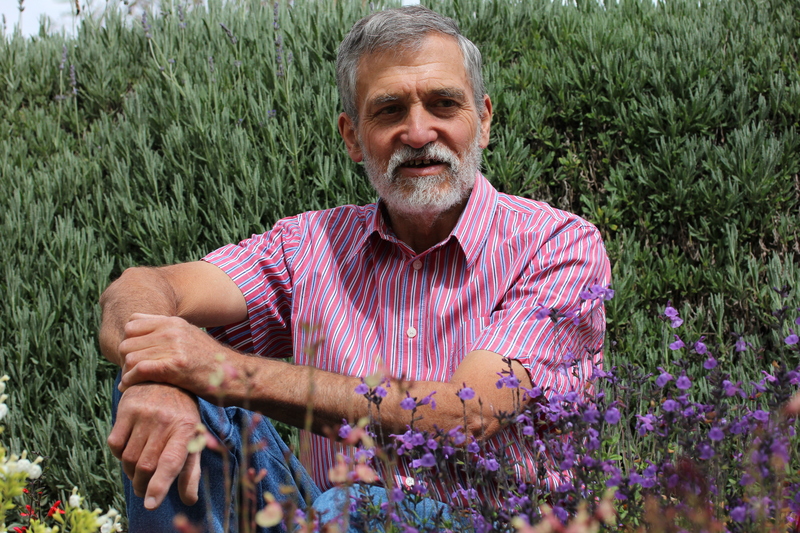 John’s aim is to produce novel hybrids that provide the best combination of plant form and flower colour. 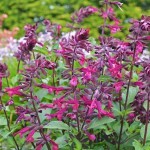 Salvia Love and Wishes is the first variety from John’s breeding programme. A plant breeder always dreams of having their varieties grown widely. But John’s passion goes beyond that. 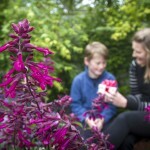 Salvia Love and Wishes will be launched at the Royal Horticultural Society’s Chelsea Flower Show 2015, which opens next week. 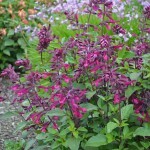 Love and Wishes, bred by John Fisher of New South Wales, Australia, is the third colour in the Wish Collection of Salvia varieties. 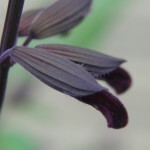 It has a deep purple flower, dark green foliage and dark stems – making it a perfect compliment to the existing Wish varieties, Wendy’s Wish and Ember’s Wish. 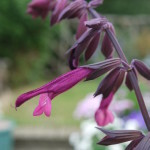 The Wish Collection of Salvia is managed in Europe by Graham Spencer of Plants For Europe Limited, an independent plant breeders’ agent based in East Sussex. 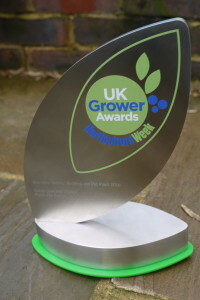 As soon as he saw the new variety, Graham immediately approached William Dyson of Dyson’s Nurseries – the perfect partner for the UK launch at Chelsea. 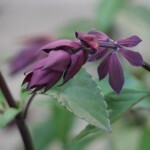 William says “Love and Wishes has a lot going for it: a long flowering period, sumptuous reddish purple flowers with burgundy stems and calyces and attractive foliage. I rate the Wish series very highly and Love And Wishes makes a fantastic specimen for a container”. Look out for Love and Wishes at Chelsea on William’s display – stand number GPF8. Love and Wishes produces lots of flowers over a very long period. Bumblebees love it! 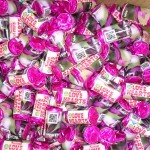 You can find Salvia Love and Wishes on Facebook at www.facebook.com/salvialoveandwishes and on Twitter with the hashtag #loveandwishes – check these two social media streams for all the latest news and photos during the Chelsea launch! We also really appreciate it if you inform us of your use of any of these images. 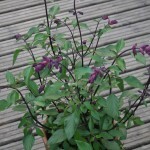 The claret coloured flower looks fantastic against the darker stem and calyx. 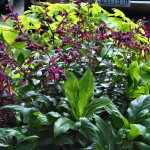 Love and Wishes makes a great garden plant – choose a sunny position in well-drained soil. Love and Wishes looks great in pots. Love and Wishes, like the other Salvia varieties in the Wish Collection, are very free-flowering. They flower from May until frost. Love and Wishes also makes an excellent gift! 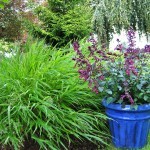 Love and Wishes is a great plant for modern contemporary container gardening. 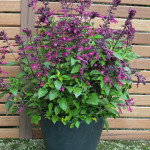 All the Wish Collection Salvia varieties make great plants for patio tubs. Welcome to Salvia Love And Wishes! 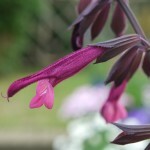 This is the website for Salvia Love and Wishes – the third colour in the exciting Wish Collection of Salvia – being launched in the UK in 2015! 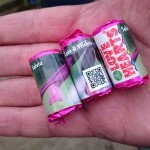 Check this site for information about how Love and Wishes will grow in your garden, how to get the best from it, supplier information, launch news and much more!